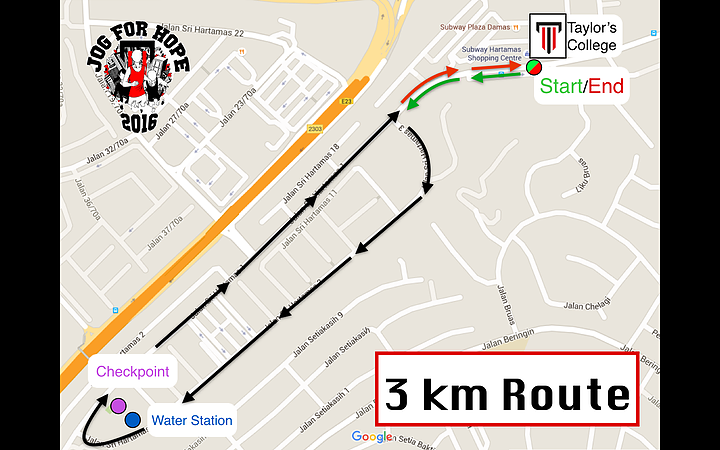 *The registration fee applies the same to all distances (3km, 6km & 10km) according to the three categories. 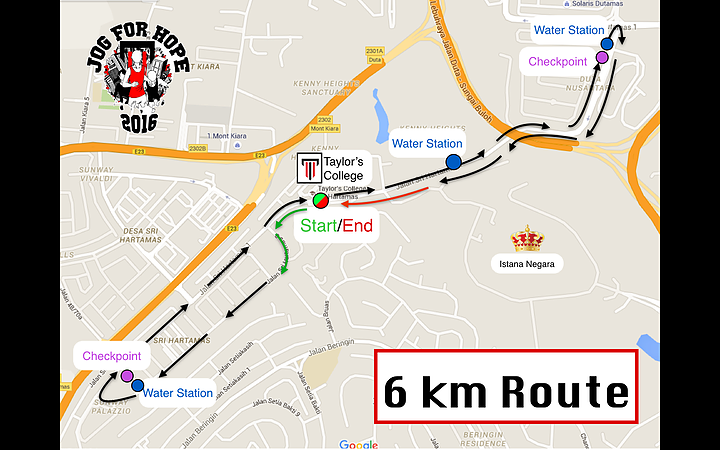 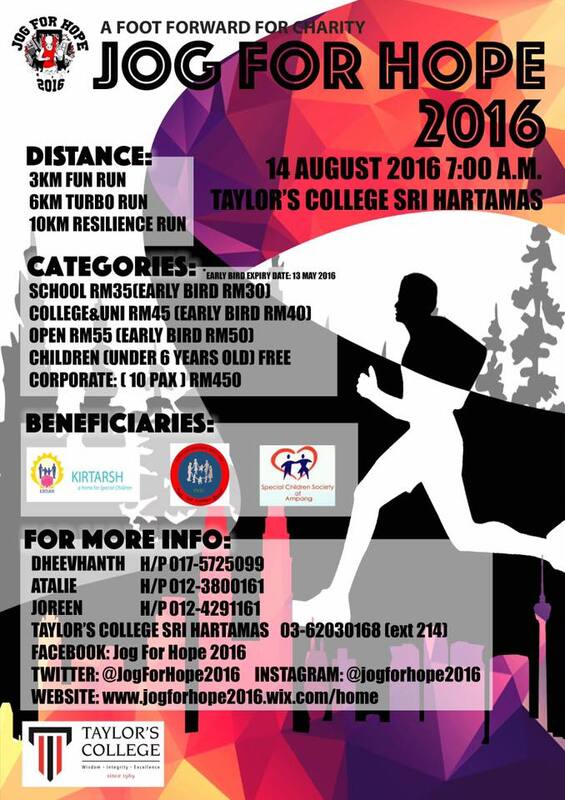 Jog for Hope is an annual jogathon organized by the pre-university students of Taylor's College Sri Hartamas. 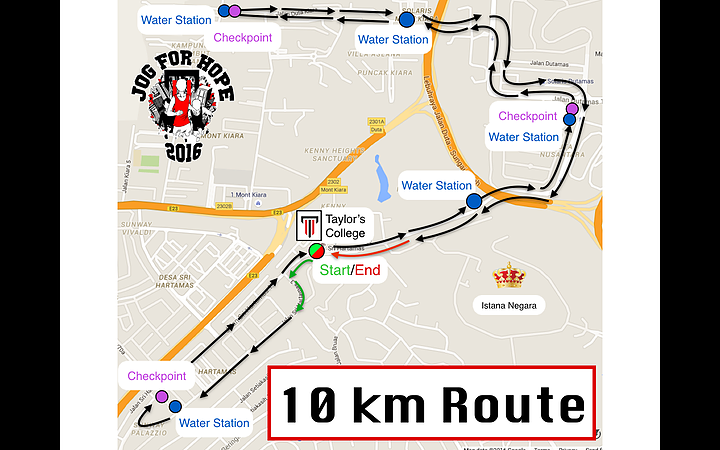 All funds obtained from the jogathon this year will be donated to Kirtarsh Handicapped and Disabled Children's Home, Special Children Society of Ampang and Sweet Care Welfare Society.